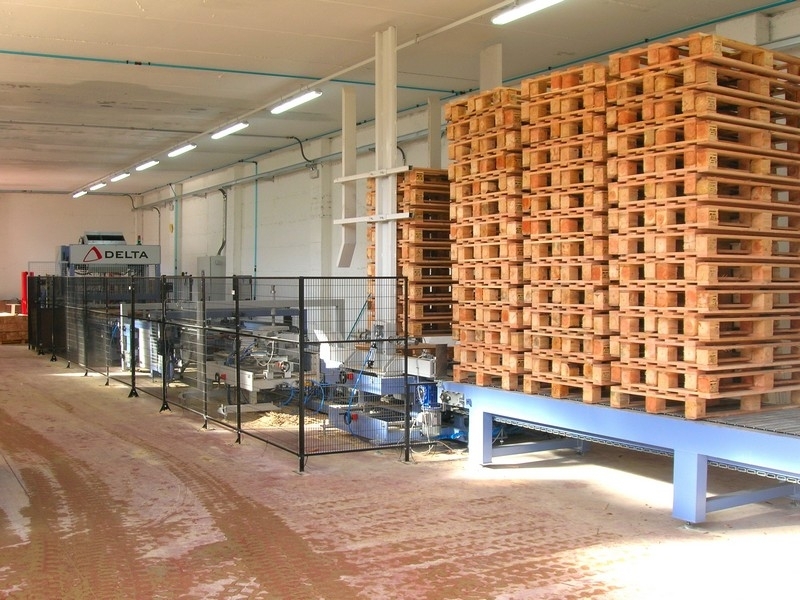 Warehouse machinery for pallets (MAG6) | DELTA S.r.l. The Motorized Belt Conveyor (MAG6) installed at the end of the stacking unit allows the operator to unload the finished product (pallets). It is available in the standard measure of 6 meters, but its length can be easily modified based on customer requirements. The Motorized Belt Conveyor is equipped with a photocell to automatically stop the machine when the Belt Conveyor is full and with single removable shutters in galvanized tubular steel.